My mom has always wanted me to write an opera. And opera was something I couldn't understand. I hated the vibrato and unintelligibility which seemed to accompany operatic vocal production. After I studied voice I learned to perceive it differently as something virtuosic delicate and beautiful. I've always sung everything as it happened to me in life. So when I finally came to making the music go with someone else's story it came so naturally I was surprised. And quite pleased. for more information, sound samples, and casting detail please clidk. A 4th-of-July opera with libretto by Billy Aronson (MTV, 'Beavis & Butthead,' Rent), commissioned by American Opera Projects' Family Opera Initiative. 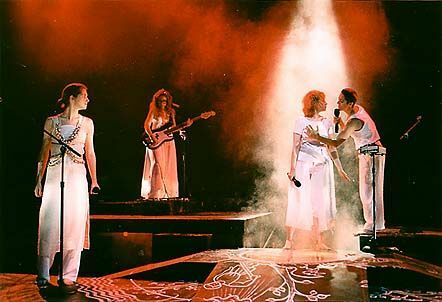 Scenes 1-6, 10 and 12 were premiered in workshop, June 14-16, 1999, by AOP at the Angel Orensanz Foundation on New York City's Lower East Side. A second workshop in August of '99 read through the entire piece. Following that Music Director Steve Osgood and Theatrical Director Grethe Barrett Holby worked with librettist Billy Aronson and composer Kitty Brazelton to edit and shape the opera. In 2000, another workshop took place testing new portions of the piece while repeating some already tested and in June, Scenes 4, 7, 10 and 19 were recorded in a studio in piano-vocal version. In December 2001, all 80+ minutes of "Fireworks" were heard in a semi-staged reading. This was followed by a January editing session. In April-May 2002, Brazelton orchestrated "Fireworks" for "four musicians plus keyboard". In June, Holby directed rehearsals and developed staging while Wendy Cavett conducted the crew of 6 singers and 5 musicians, culminating in a single-night one-hour outdoor performance at Fort Greene Park in Brooklyn where the opera was well received. 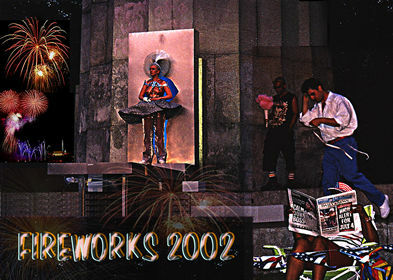 At this writing in February 2002, we look forward to a June 26 return performance at Fort Greene Park. 6 singers & piano; to be orchestrated for 6 singers (soprano, mezzo-soprano, alto, tenor, baritone, bass) & chamber orchestra. VIOLIN/GUITAR: violin, electric guitar w/ distortion pedal so sound be "clean" or "dirty"
CELLO: cello, w/ distortion pedal so sound be "clean" or "dirty"
PERCUSSION: marimba, vibes, (mallet kat acceptable), drum kit (2 crashes, ride, hi-hat, snare, 2 rack toms, floor tom, kick drum, cowbell), congas (placed near kick drum), shakers. Also, near marimba: small"ha" crash cymbal by low end of mallet keyboard, 2 skinhead drums (which echo conga or bongo timbre) mounted above middle, set of cowbells & metal objects by high end of mallet keyboard. SYNTHESIZER KEYBOARD: with ability for quick single-stroke change between patches which should be as follows: string section, harpsichord, harpsichord w/ string chase (strings have slow attack and sound only when key is held down), a split keyboard where right hand plays an ocarina or flute sound and left hand plays an electric bass sound -8va. The Angel Orensanz Foundation, NYC, June 1999. The Angel Orensanz Foundation, NYC, April 2000. American Opera Projects, 138 S. Oxford, Brooklyn, April 2001. American Opera Projects, 138 S. Oxford, Brooklyn, December 2001. Fort Greene Park, Brooklyn, July 2002. Fort Greene Park, Brooklyn, June 2003. 21st-c. settings of 12th-c. Hildegard von Bingen's miracle play "Ordo Virtutum" by Brazelton in collaboration with composers Eve Beglarian, Lisa Bielawa and Elaine Kaplinsky; DAT soundtracks developed in part at Columbia University Computer Music Center. Revised version commissioned and premiered by Lincoln Center Festival '98. 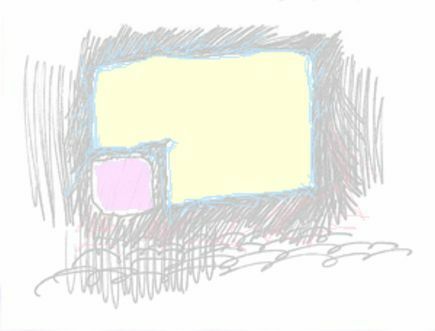 1996; revised 1998 70 min. 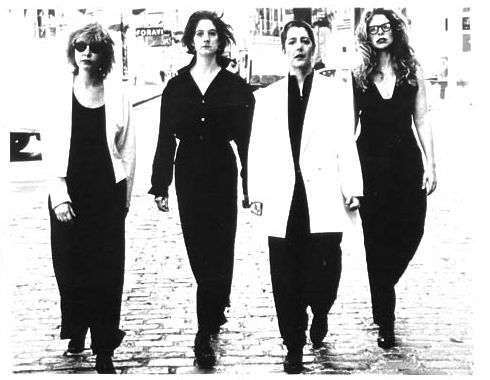 Hildegurls: 4 singers, soprano recorder, percussion, MIDI wand, sampler, electric bass and DAT soundtrack Context Hall, October 5, 1996; Lincoln Center Festival '98, July 22, 24, 25, 1998; Edgewood College, Madison WI, September 17, 1998 (Hildegard's 900th birthday). women's unison chorus and tape or piano accompaniment Lang Performing Arts Center, Swarthmore College, Pennsylvania, 1993; Painted Bride Art Center, 1994, Phila. public school system, Flint, MI by UAW women's group, 1996-97. Operetta in which entire ensemble except contralto is Martian and speaks in motives learned from radio waves in space. Libretto by Lorraine Llamas. Premiered by BOG LIFE. 1992 15-20 min. for BOG LIFE: contralto, baritone, harp, oboe, double bass, marimba and cymbal; Dixon Place, New York City, November 1992. Theatrical song; libretto by Denise Lanctot, Performed by the New Music-Theater Ensemble of Minnesota Opera, Ben Krywosz, director. 1992 5 min. for a cappella tenor solo with baritone and two sopranos Atlanta Arts Festival, October, 1992; Washington, D.C., April 1993; Walker Art Center, Minneapolis, fall 1993. The Dinner-Party A six-song cycle setting poems by Amy Lowell. Premiered by Brazelton's BOG LIFE on Cape Cod, MA tour funded by Massachusetts Arts Lottery, November 1991. Included on BOG LIFE recording "New & Unusual American Chamber Music." 1987-1991 22 min. for BOG LIFE: mezzo-soprano, baritone, oboe, harp, double bass, marimba and percussion Cape Cod, MA, November 1991. Roulette, 1991. © 1999, Catherine Bowles Brazelton.